Last month I read a fantastic adult novel, a gripping nonfiction, and a few excellent contemporary YAs. As always, covers link to Goodreads pages. 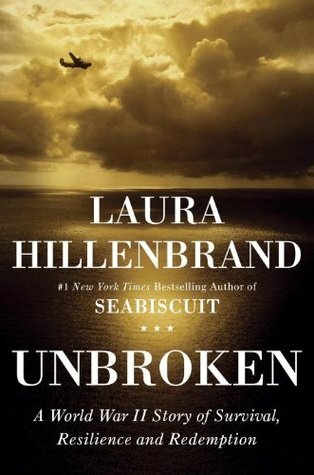 Unbroken: A World War II Story of Survival, Resilience and Redemption by Laura Hillenbrand – Not my usual fare, but I enjoyed this story so much. It’s a nonfiction account of Olympian and WWII veteran Louis Zamperini’s life experiences, and it’s equal parts horrifying and inspiring. I cannot believe what this man survived: forty-seven days floating in a raft on the open ocean, followed by almost two years in a harrowing POW camp. Unbroken is the sort of biography that’s accessible and humanizing, and I suspect you’ll be captivated by Louie’s story even if you’re not war buff or history fanatic. Recommend! The Bridge From Me to You by Lisa Schroeder – This was such a sweet and poignant novel, told in dual POVs. 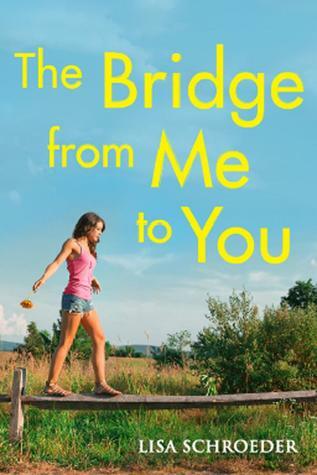 I adore Lisa Schroeder’s verse, and The Bridge from Me to You proves her prose to be just as beautiful. Protagonists Lauren and Colby feel so layered and real and fresh, and the reverential way they treat each other is heartening; there’s no manufactured drama here. I love this story’s small-town setting, not to mention its high school football backdrop. If you’re a FNL fan (like me! ), I bet you’ll fall for Lauren and Colby’s story too. 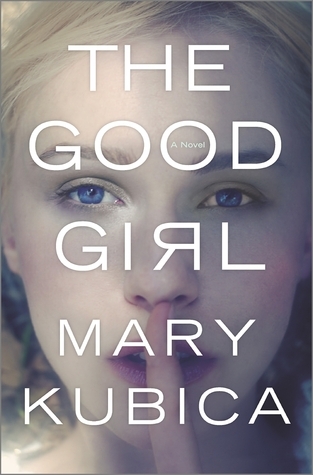 The Good Girl by Mary Kubica – I’ve had my eye on this novel for months, ever since I first saw its striking cover. The story’s summary intrigued me, as did the comparisons between it and Gillian Flynn’s Gone Girl. I understand why people group these two books together (fast-paced, thrilling, multiple narrators, fantastic twists), but I’ve got to say… I liked The Good Girl better than Gone Girl, and that’s because its characters have redeeming qualities — even those who do seemingly terrible things. The Good Girl is full of surprises, thoughtful commentary on parent/child relationships, and an unexpected romance I bought into so completely, I ended having one of those elusive All the Feels moments at the book’s conclusion. Big recommend! Isla and the Happily Ever After by Stephanie Perkins – My favorite of Stephanie Perkins’ trio of novels, though when I think about it objectively, I wouldn’t call it her strongest. I loved this story so much because I related to its characters completely. I’m more like Isla than Anna or Lola, and my husband is more like Josh than Cricket or St. Clair. Neither of us are as self-destructive as Isla and Josh, but still… I understood them and their motivations, and they totally made me swoon. 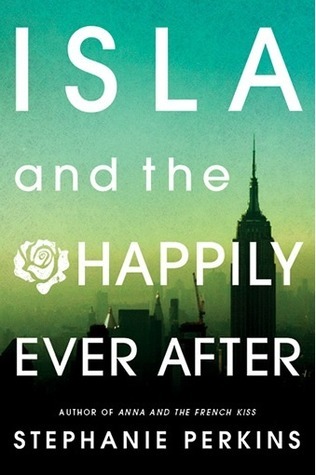 Isla and the Happily Ever After is a story about staying together, not so much getting together, and that’s another reason I loved it so much. It’s romantic and angsty and really hot. And, as is to be expected from a Stephanie Perkins novel, the characters and settings are unique and incredibly well drawn. Plus, the final chapter! So satisfying! 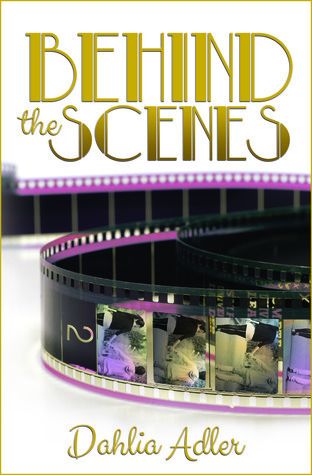 Behind the Scenes by Dahlia Adler – Such a refreshing read! Hollywood plots aren’t usually my cup of tea, but Dahlia is delightful and continuously recommends fantastic books, so it came as no surprise that hers was unputdownable. I enjoyed her flawed-but-charming characters, and I loved all the steamy, swoony scenes between Ally and Liam. Ally’s relationship with her BFF, Vanessa, felt genuine and true, and I was particularly moved by the scenes she shared with her father. Their bond was lovely, and it made me care about Ally’s story all the more. Definitely pick this one up if you’re looking for a romantic upper YA novel with real relationships and tons of voice. I lurrrved ISLA, too! 🙂 I’ve jotted down a couple of titles – thanks for the recs. I would have to say my favorite book of August, ISLA aside, was WHY WE BROKE UP by Daniel Handler. Refreshing voice that was very relatable. Here’s to a September filled with lots of great reads! I haven’t read WHY WE BROKE UP, but I love the cover and I’ve heard great things… I’ll definitely have to check it out soon! Mr. Zamperini’s story was covered near the end of the awesome coffeetable book I recently read, The Last Good War. It had beautiful black and white photographs of WWII vets (men and women), some of whom were only pictured, some of whom told their stories too. Perhaps my favorite book I read in August was Yoko Kawashima Watkins’s My Brother, My Sister, and I, the sequel to her memoir So Far from the Bamboo Grove. The sequel covers the early post-WWII years in Japan, and how the three Kawashima siblings got through hard times together while their father was a prisoner in Siberia. I’m told Mrs. Watkins is a very sweet, lovely person in real life, just as she comes across in her books. She lives on Cape Cod now. Ooh, I’ll definitely have to keep an eye out for THE LAST GOOD WAR. I bet my husband would enjoy that one — thanks for the Christmas present idea, Carrie-Anne! Oooh, haven’t heard of THE GOOD GIRL. Sounds interesting, definitely adding to my TBR-list. I really and truly loved THE GOOD GIRL, Jennifer. The best adult fiction I’ve read in a long time. Let me know what you think! Oh now I really want to check out The Good Girl! Liz, it is SO good! Let me know what you think!